Many people who don't use moisturizers on oily skin think it is only going to make their skin oilier. What they don't understand is that the oil on the skin traps in moisture and doesn't replace any moisture that a person loses. People with oily skin face are prone to several skin issues like acne, and because acne is the result of blocked pores caused by dead skin and oil, the treatment may leave your skin dry without moisturizer. This means you'd better use a moisturizer to maintain natural moisture in your skin, but the good thing is that you can now find an oil-free, noncomedogenic moisturizer for your oily skin. What Is Non Comedogenic Moisturizer? These types of moisturizers don't clog your pores, so they are less likely to cause acne breakouts than your regular moisturizers. It takes its name from the word "comedones", which are hair follicles. These hair follicles sometimes enlarge after being filled with oil and dirt – they lead to the production of whiteheads or blackheads on your skin. These comedones may turn red or pink when inflamed, and they may even fill with pus with time. Using noncomedogenic moisturizer will help get rid of these acne problems because it handles your skin gently and don't contain oil, so you can use them even when you have oily skin. 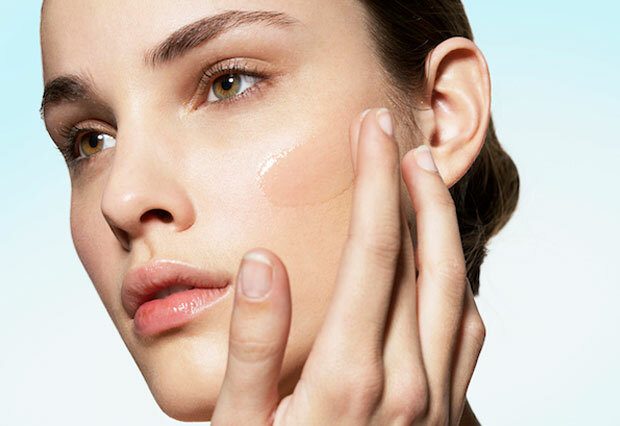 Which Non Comedogenic Moisturizer Fits Your Condition Best? If you see wrinkles and other signs of aging on your skin, opt for a moisturizer that also contains retinoids because they encourage the growth of new cells. It should also contain peptides to improve your skin's elasticity and has lactic acid for exfoliation. For acne, you can find a number of options. Opt for the one that contains salicylic acid or benzoyl peroxide to prevent acne breakouts. You may want to use these on alternative days to ensure they don't leave your skin dry. To get rid of the tanned skin, you can use a tinted non-comedogenic moisturizer. Be sure to pick the one that contains sunscreen if you'll be going out in the sun frequently. An SPF of 15 or more will provide enough protection from harmful ultraviolet radiation. It is also important to invest in a non-comedogenic moisturizer that you could use in the evening because it will repair your damaged skin cells while you're asleep. Opt for a moisturizer with a richer and creamier texture to ensure that it absorbs into your skin quickly. They may sometimes make your face look a bit greasy because they have high levels of antioxidants and vitamins. You can also opt for a night cream that contains retinol to fight with wrinkles. You can also find non-comedogenic body lotions, even though they are not that common. You can use them if you have particularly sensitive skin. It is also possible to find hypoallergenic body lotions. Although many people don't understand it, even the oily skin needs hydration and moisturizing to stay healthy as we have talked above. If you don't provide your skin with enough moisture, it is only going to trigger your sebaceous glands to produce more oil, which in turn will lead to acne and other skin problems. Using a non comedogenic moisturizer is definitely a good choice, but here are some other tips to take proper care of your oily skin. You need to keep your skin clean all the time to get rid of excess oil. Start by cleansing your face at least thrice a day to eliminate oil buildup which leads to acne. Use foaming or gel-based cleansers for your oily skin, or opt for face washes that don't contain additional oil. Medicated soaps are also available to take proper care of your oily skin. Be sure not to use any abrasive cleaning techniques because it will rob your skin of its natural moisture. It is important to exfoliate your skin at least once a week because the excess sebum will lead to dead skin cells that will cause acne, pimples and whiteheads. You need to exfoliate your skin to eliminate dead skin cells and rejuvenate the surface of your skin. Just make sure you don't rub your skin too harshly while exfoliating. Use a facemask after exfoliation to get fresh skin. The best facemasks are the ones that contain bentonite clay, fuller's earth, sandalwood or kaolin. You can also make a natural facemask by mashing the pulp of a papaya and adding half a lemon to it. Apply this mixture on your face and massage gently. Leave it for 20 minutes and rinse with cold water. Toning will help get rid of excess oil – this will eliminate dirt from your skin, leaving it look fresh. You may use rosewater for toning or you can buy an alcohol-free toner from a drugstore to regulate the sebum. Even if you don't spend a lot of time out in the sun, it is still important to take steps to protect your skin from harmful UV rays. Excessive exposure to sun will cause pigmentation, brown spots and freckles to appear on your oily skin. Use a gel-based sunscreen for good protection and drink plenty of water to keep your skin hydrated.